Below are answers to frequently asked questions. How are the online classes offered? All classes are recorded and can be viewed at your convenience. From time-to-time some classes may be offered as “live” presentations and made available as recordings for later viewings. The classes use a variety of technologies and are run through Carmen (carmen.osu.edu), Ohio State’s learning management system. For each of the classes in which you enroll, the information will be posted in Carmen, including a syllabus. The deadline for assignments, readings, discussion posts, etc. is typically Sunday at midnight. We recommend you login daily to ensure you’re keeping up with classes. May I take courses before enrolling in the MACPR or MS Pharmacology degree programs? You may take classes as a “Graduate Non-Degree” (GND) student. This application process is separate from the MACPR and MS Pharmacology application. You can find more information at the Graduate Non-Degree website. You may transfer up to seven credits of coursework (taken as a GND student) after you have applied, are accepted to, and have enrolled in a graduate program. This equates to two classes, as MACPR and MS Pharmacology classes are typically three credit courses. If you are interested in taking one or two courses before entering one of the graduate programs, contact the program manager for a recommendation of courses in which to enroll. When you begin the program, a faculty adivsor will be assigned to you by our program director. Your advisor can “meet” with you in person (if you live in Columbus or Central Ohio), via phone, Skype, or Carmen Connect (Adobe Connect). You will work with your advisor to develop a “Plan of Study,” which will determine the specifics of your educational experience in MACPR – the amount of classes you take per semester, the specific classes you take each semester, and additional requirements needed to graduate in a timely fashion. You will also begin working with your advisor early in the program to plan your MACPR capstone or MS Pharmacology independent study project. The MACPR and MS Pharmacology programs are professionally-oriented; therefore, rather than a thesis, students will complete a capstone or independent study which will involve either a practicum (i.e., internship) or project in clinical/preclinical research. MACPR students are also required to complete an ePortfolio, but do not have a culminating exam. MS Pharmacology students will be required to complete a remotely proctored exam during their semester of graduation. All students will be required to write a report and give a presentation to their advisor at the completion of the culminating activity. 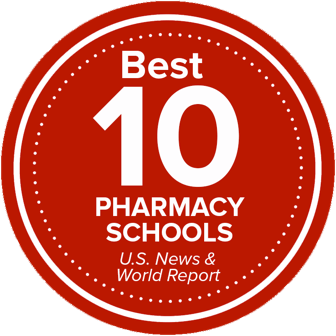 Are the MACPR and MS Pharmacology programs accredited? The Ohio State University is accredited by the Higher Learning Commission (HLC) of the North Central Association of Colleges and Schools (NCA). The MACPR and MS Pharmacology programs are not accredited, as there is currently no accreditation available for clinical research programs. However, we have developed the program to meet the competencies developed by the Consortium of Academic Programs in Clinical Research and plan to apply for accreditation as soon as the opportunity is available. There is no accreditation available for the MS Pharmacology program, which is typically true of all science programs. Accreditation is usually only available for professional academic programs, like engineering, nursing, business, etc. Are text books required or are reading materials all online? Most of our courses utilize online readings; however, we do require text books for some courses. Whenever possible, we use free eBooks from the Ohio State library. When required, most of our students purchase text books online. We hold an online orientation and will send you information in advance regarding how to participate. Participation in orientation is required; however, if you're unable to attend, we record the session for later viewing. You may switch specializations, preferably by the end of the first semester of the program. It is also possible to complete two specializations. You should work with your advisor before you decide to switch and/or if you have questions regarding the completion of two specializations. Many courses in the MACPR program have collaborative projects, however, there is rarely more than one per semester. The students communicate via email, phone, Skype, Adobe Connect, or Google Hangout - they all seem to find a method that works well for them. Most courses also have discussion boards where students provide responses via either text or voice, but students post to those at their own convenience and they are not required to "attend" at a specific time. The rule of thumb for coursework time commitment among all accredited universities is, for each credit earned, the student will put in 2.5 hours of work per week over 15 weeks. Our courses are three credits which translates to 7.5 hours per week of work (viewing lectures, reading, posting to discussion boards, doing assignments, taking quizzes, etc.). In the 24-month program plan, a student takes two classes per semester, so that's technically 15 hours per week. We say "technically" because some students are more efficient and can do the work in less time, while other students will require the full 15 hours to complete the coursework. Most of our working professionals say two classes per term is manageable but keeps them very busy. I'm an Ohio State graduate/I have taken classes at Ohio State. Do I need to send an official transcript? Applicants who have attended Ohio State are not required to furnish Ohio State transcripts. However, you must submit transcripts of any courses completed elsewhere, even if these classes are listed on the Ohio State transcript as transfer credit. I was previously enrolled in a degree-granting graduate program at Ohio State. How do I apply to the MACPR or MS Pharmacology program? Mail: Some recommenders prefer to mail their letters. In that case, you may send the recommender the PDF version of the form, they can fill it out online, and send it with their letter. Alternatively, you may print the form for your recommender and they can fill it out the hard copy. The form and letter may be returned by email to Nikki Herbert, or if they would prefer to mail the letter, they can send it to: MACPR Program, 760 Kinnear Rd., Room 211, Columbus, OH 43212. At Ohio State, all students enrolled in a completely online program will pay the in-state tuition and fee rates, minus the site-based fees (such as the Student Activity Fee, Recreational Fee, Student Union Facility Fee, COTA Bus Service Fee). Non-Ohio residents will pay an additional $5 non-resident fee each semester. You can view a break down of tuition and fees, as well as other expenses for the MACPR and MS Pharmacology programs on the Ohio State Online website. Yes, students enrolled in the MACPR and MS Pharmacology programs may apply for financial aid. Visit the university’s Student Financial Aid website for more information. Are there any funding or scholarship opportunities available for the MACPR or MS Pharmacology program? Currently, we do not offer funding (scholarships, fellowships, or teaching/research associateships) for our students. However, you may qualify for federal aid in the form of loans or grants. Be sure to complete the FAFSA. The Ohio State Student Service Center (SSC) can answer questions related to federal aid.